Dr. Julie Marsh is a Professor of Education Policy at the Rossier School of Education at the University of Southern California and Faculty Director of Policy Analysis for California Education. Marsh specializes in research on K-12 policy and governance, blending perspectives in education, sociology, and political science. Her work has focused on accountability and instructional policy, with particular attention to the process and politics of adoption and implementation, and the ways in which policies shape practice in urban settings. This has included studies of the No Child Left Behind (NCLB) Act and NCLB-waiver systems, school turnaround, teacher evaluation policy, literacy coaches, and math and science curricular reforms. One cross-cutting focus of this work relates to how teachers and administrators use data to inform their practice. A second major strand of her research examines educational governance and efforts to decentralize and democratize decision-making. These studies investigate school choice policy, participatory reforms calling for stakeholder engagement, efforts to provide greater local control over school finance, and “portfolio” reforms that diversify management of school operations. 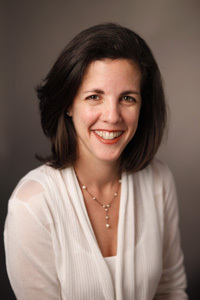 Prior to coming to USC in July 2010, Marsh was at the RAND Corporation where she last served as Senior Policy Researcher. She received a Ph.D. in Education Administration and Policy Analysis from Stanford University, a Master’s in Public Policy from the University of California at Berkeley, and B.A. in American Studies from Stanford University. A RAND study led by Marsh earned media attention in July 2011 when the New York Department of Education ended a bonus program as a result of its findings. A Big Apple for Educators: New York City’s Experiment With Schoolwide Performance Bonuses found that the New York City schoolwide performance bonus program had no effect on students’ test scores, school report cards, or the way teachers reported doing their jobs. The New York Times was among the news outlets to feature the report. Marsh specializes in research on K-12 policy and governance. Her research blends perspectives in education, sociology, and political science. Over the past 20 years, much of her research has examined accountability and instructional policy, with particular attention to the process and politics of adoption and implementation, and the ways in which policies shape practice in urban settings. This has included studies of the No Child Left Behind (NCLB) Act and NCLB-waiver systems, school turnaround, and teacher evaluation policy. Marsh has also closely examined policies intended to support teachers and improve teaching, including research on literacy coaches and math and science curricular reforms. One cross-cutting focus of this work relates to how teachers and administrators use data—not only test score results, but also student work, data on instructional quality, and data generated from the community—to inform their decisions and practice. A second major strand of her research examines educational governance and efforts to decentralize and democratize decision-making. Often focused on school districts as central actors in educational reform, these studies investigate school choice policy, participatory reforms calling for parent and stakeholder engagement, efforts to provide greater local control over school finance, and “portfolio” reforms that diversify management of school operations. These studies examine implementation, with a focus on the ways in which these reforms involve and affect underserved and historically marginalized students and stakeholders. Co-Principal Investigator (Doug Harris, PI: Katharine Strunk, Josh Cowen, Amy Ellen Schwartz, Co-PIs). National Center for Research on Education Access and Choice (REACH). U.S. Department of Education Institute of Education Science. Co-Principal Investigator (with LCFF Research Collaborative members). Implementation of the Local Control Funding Formula. Co-Principal Investigator (with Katharine Strunk, Katy Bulkley, Doug Harris). The New “One Best System”? Urban Governance and Educational Practice in the Portfolio Management Model. Co-Principal Investigator. (with Heather Hough). PACE-CORE Accountability System Evaluation.